Асоцијацијата за напредок, едукација и лобирање (НЕЛ) од Скопје има потреба од 2 учесници од Македонија на возраст од 18 до 25 години, за младинска размена на тема „Join the kitchen of flavors to a bit of knowledge“, која ќе се одржи во областа Сантарем, во Португалија од 28-ми октомври до 4-ви ноември 2013, во рамките на програмата „Млади во Акција“ (Youth in Action) на Европската Комисија. Сместувањето и храната се целосно покриени од страна на организаторите, како и 70% од патните трошоци. Работен јазик за време на младинската размена е англискиот. Во продолжение прочитајте повеќе детали за проектот, а доколку сте заинтересирани или имате дополнителни прашања испратете мејл на pel_part3@yahoo.com со назнака „Младинска размена во Португалија“. 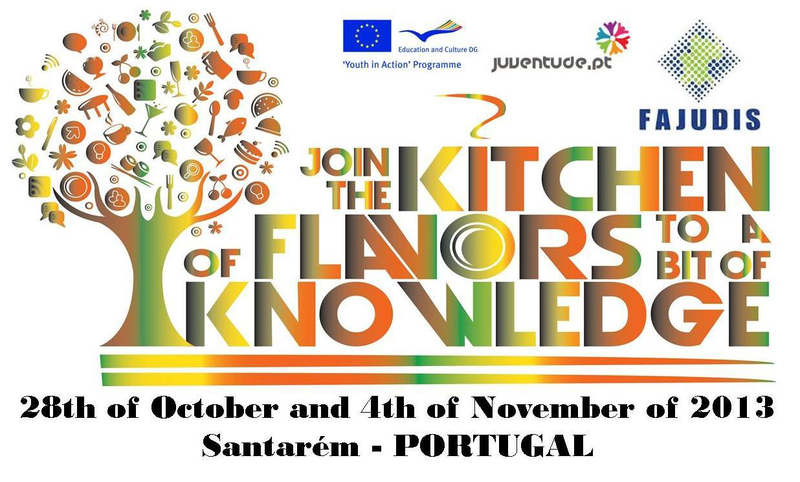 “Join the kitchen of flavors to a bit of knowledge” is an multilateral youth exchange between countries such as Belarus, Macedonia, Romania, Moldova, Portugal, and Armenia, with 5 participants each, on age between 18 and 25 years old, from the 28th of October and 4th of November of 2013, being developed in Santarem district, Portugal. This youth exchange wants to promote in youth the adoption of healthy lifestyles that comes from an balanced diet, an healthy nutrition and the practice of regular physic activity; aware the youngsters to the feeding theme, to the intercultural exchange in gastronomy, to the fast-food problem, and promote the exchange of good practices between the promoters of the project inside the thematic. The implementation of non-formal education activities that make part of the exchange project, such as the workshops, visits, discussions, ice-breaking games, entertainment activities in the area of sports, will not just increase the active and healthy behaviors in youngsters, but they will permit the empowerment of personal, professional and social competencies inside the different themes, such as, the world in is diversity, active citizenship, participation, European awareness, social integration, same opportunities, solidarity, creativity, entrepreneurship, physic activity, gastronomic knowledge and the capacity of understanding the cultural diversity in a positive way. This youth exchange creates a strong dialogue between the participants, promotes the tolerance and the positive attitude facing new reality’s and lifestyles. In this way, this project will work with the diversity unity, such as, looking for common objectives we will approach, share and identify different perspectives, dealing with the community’s and their cultures.